I am a full time mediator and arbitrator of labor and employment, civil rights, and consumer matters, drawing on extensive training and my twenty years' experience as an advocate to provide cost-effective alternative dispute resolution services. After graduating from the University of Washington Law School (Order of the Coif) in 1976, I served as a Court Law Clerk at the U.S. Court of Appeals for the Ninth Circuit in San Francisco in a program supervised by Judge Anthony M. Kennedy, now a U.S. Supreme Court Justice. From 1977 to 1997, I practiced labor and employment law in Seattle, becoming a partner in Preston, Thorgrimson, Ellis & Holman (now Preston Gates & Ellis) and then Bogle & Gates. As an advocate, I achieved an av rating in Martindale-Hubbell and listings in The Best Lawyers in America and The Best Lawyers in Seattle (Seattle Magazine, January 1997). I also appear in Who's Who in America and Who's Who in American Law. Since 1988, I have been a frequent mediator and arbitrator under Rule 39.1 of the Western District of Washington and under the mandatory arbitration rules of the Washington Superior Courts. My ADR training includes Settlement Now's How to Conduct a Mediation Hearing (1988) and Advanced Mediators' Training (1989). I also hold a Certificate in Mediation Skills awarded after four and one-half days of intensive training at the University of Washington Law School (1994). In 1998, I became certified as a volunteer arbitrator by the Council of Better Business Bureaus. 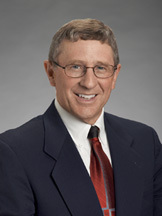 In addition, I frequently appear as speaker and discussion leader at CLE's dealing with labor arbitration, mediation, alternative dispute resolution theory and practice, and general labor and employment law topics. I am active in the ADR sections of the King County Bar Association, Washington State Bar, and the ABA, as well as the labor and employment law sections of the KCBA and ABA. I also serve on the Pacific Coast Labor & Employment Law Conference Planning Committee and belong to the Association for Conflict Resolution (formerly Society of Professionals In Dispute Resolution) and the NW Chapter of the Labor and Employment Relations Association LERA). In 1997, I resigned from Bogle & Gates to start my own practice confined to arbitration, mediation, and fact finding. I am currently listed on the following alternative dispute resolution panels: Rule 39.1, Washington PERC, FMCS, Oregon Employment Relations Board, and the National Mediation Board. I also serve on more than ten permanent labor arbitration panels, jointly selected by management and labor, and I am a Hearing Officer for the University of Washington's Faculty Dispute Resolution Process. In 2005, I was admitted to membership in the National Academy of Arbitrators, the preeminent professional association for labor arbitrators.